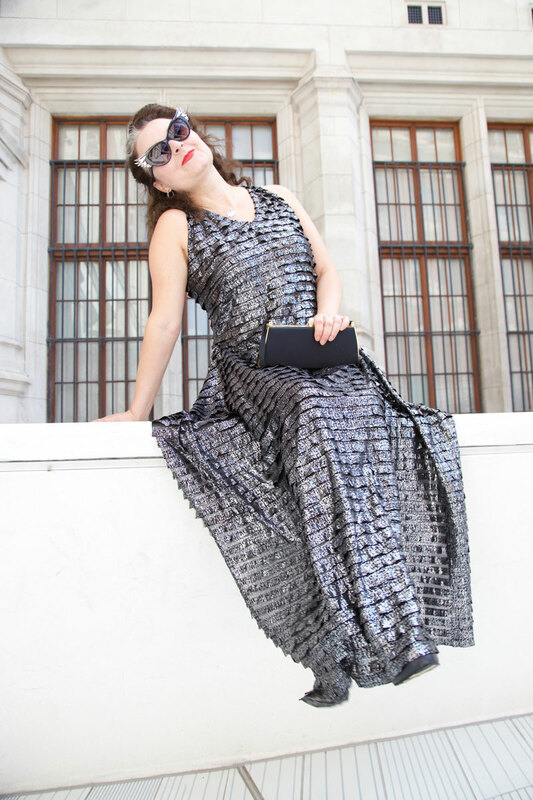 Introducing my most shiny dress to date! I’m all up for revisiting patterns of late. Especially ones that just work and need little or no revisions. This was one of those. 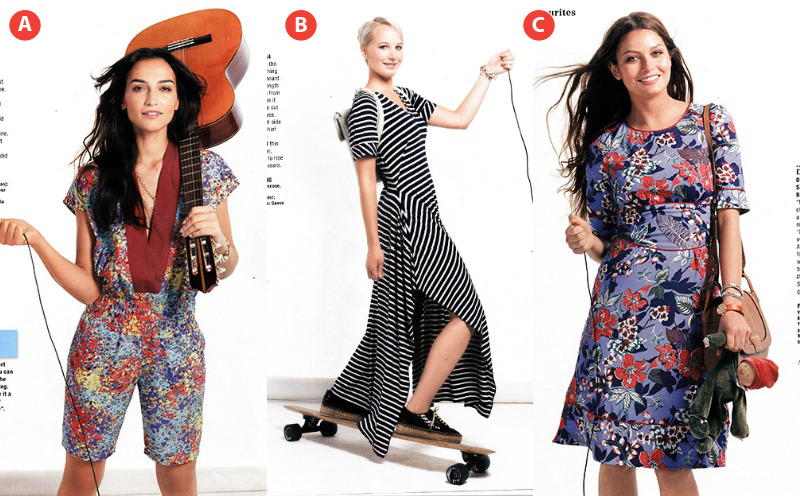 It’s a hankerchief hem maxi dress from March 2015 edition of Burda Style magazine – one of my absolute faves. I first made it almost two years ago, and blogged it here! 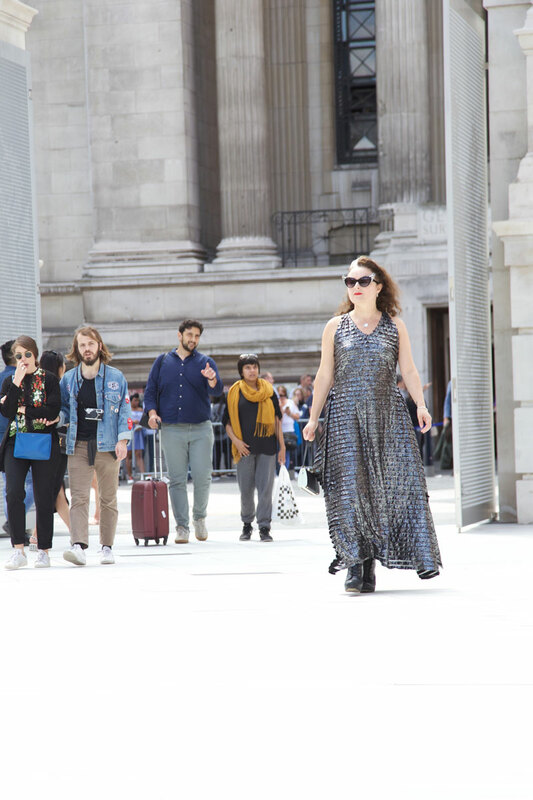 Clearly a dress befitting of the London summer climes! I knew I was going to make another. It’s such an easy one to put together. And when I stumbled across a similar ruffle fabric but in silver, it was pinned and cut in a jiffy. 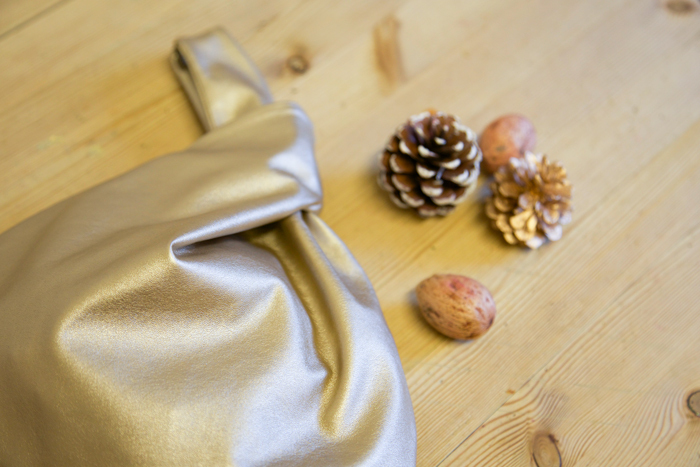 A lovely sewing afternoon at Tilly and the Buttons studio got it all sewed up but it was proper sweaty work with all those metres of metal fabric draped over my knees, so I saved the hand-finishing till… this morning! By hand-sewing, I mean the armholes and neckline which I finished with bias binding. I couldn’t be arsed with a flappy facings! 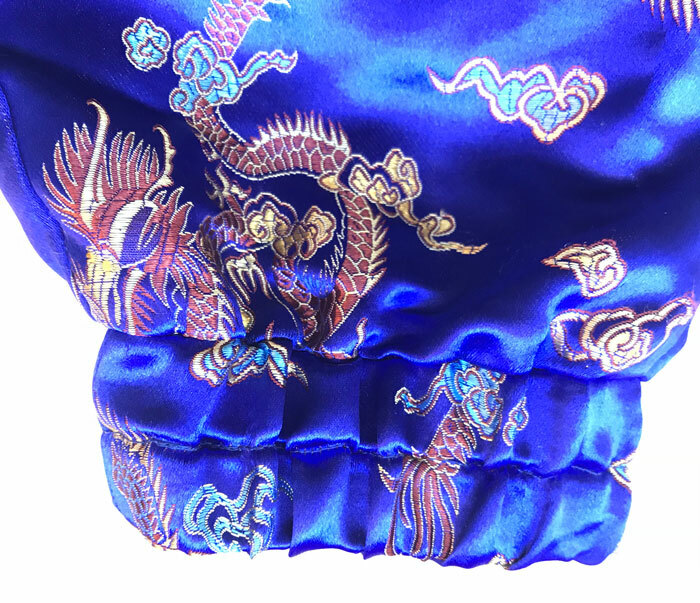 The fabric has a little stretch and has no need for finishing of hems or edges. 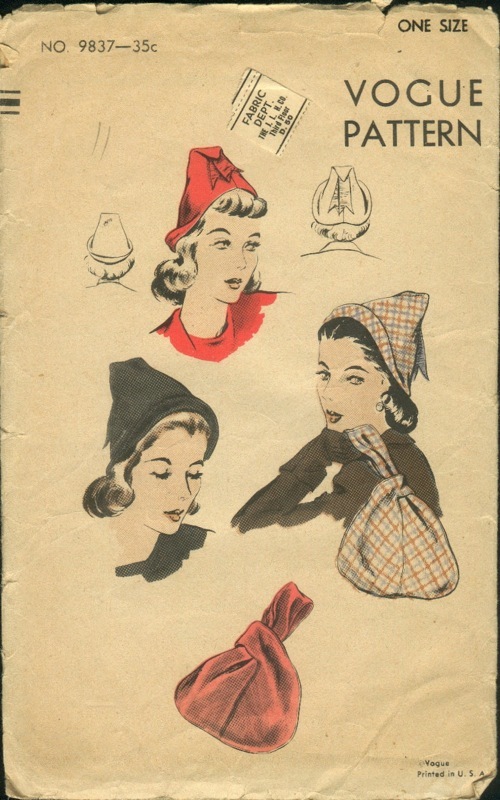 Which is lucky, because there’s lots of them going on with the hanky-hem! Feels a little like cheating but when I see it photographed I’m assured it matters not. It is also strangely transparent when you hold it to the light. But thankfully the metalic silver finish reflects with such distraction that you can’t see my pants! 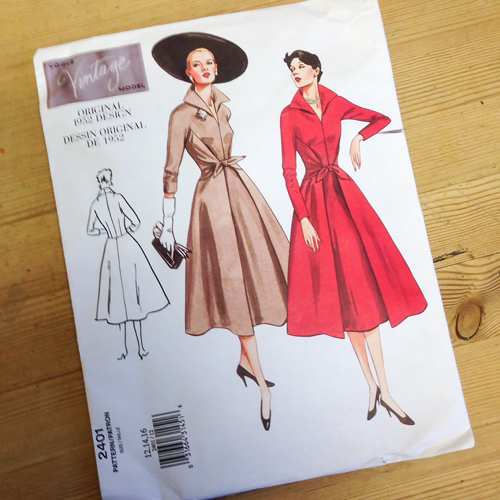 The original Burda pattern includes sleeves. But I much prefer it sleeveless. It seems to work better with the v-neckline and creates a bit more elegance. Dan took these wonderful shots, of course. Assisted by a dose of delightful sunshine at the ‘New Way In’ at the Victoria and Albert Museum. I get so excited by new space. Much like my printed design work, I’ve learned over the years, that space doesn’t always have to be filled with stuff! People were gathering and marvelling… at the space! All helped of course by the awesome stone work, some cleverly conflicting angles and some lovely reflecting glass and metals. I felt quite at home in my new dress and didn’t mind the attention it got, for once! 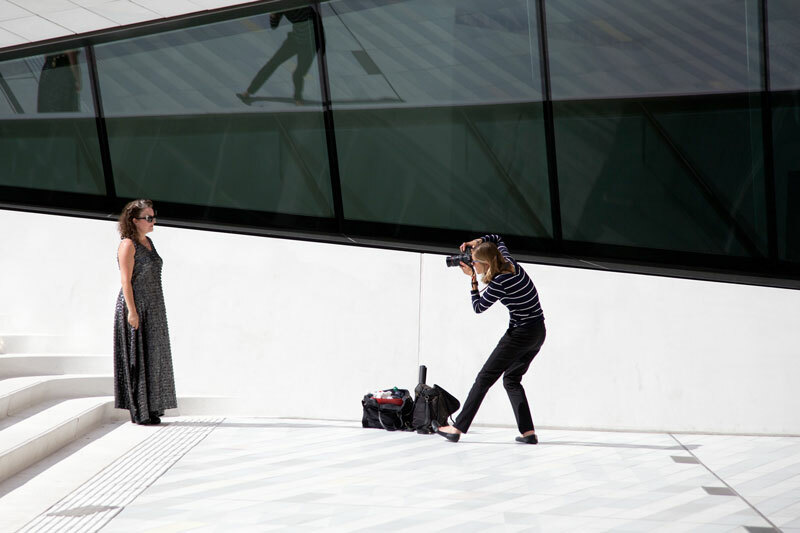 At one point, another photographer not only asked to take my photo but asked who the designer of my dress was. Oh the flattery. But oh the awkward pose for her! The satisfaction of finding an edgy fabric and pairing it with a quirky pattern definitely floats my boat and it’s something I should definitely dedicate more time to. It gives me such a little buzz of butterflies when it works. 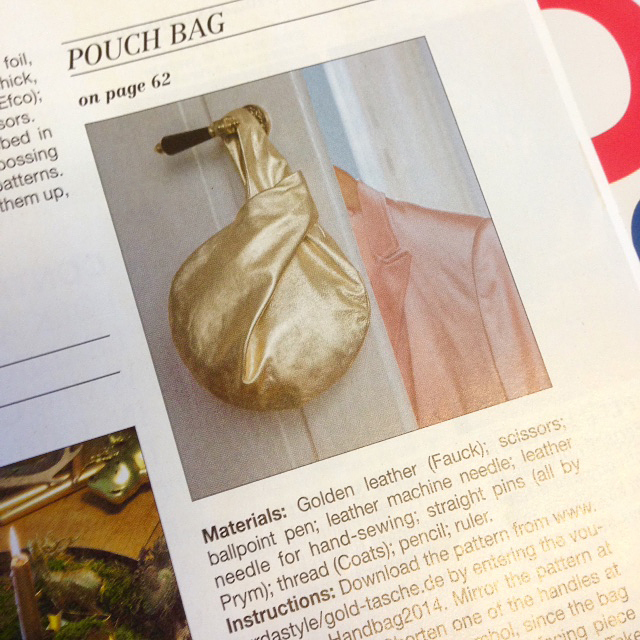 And of course Burda mags are a fantastic resource for inspiration. All those issues I dissed for abject weirdity will definitely be revisited in a new light! 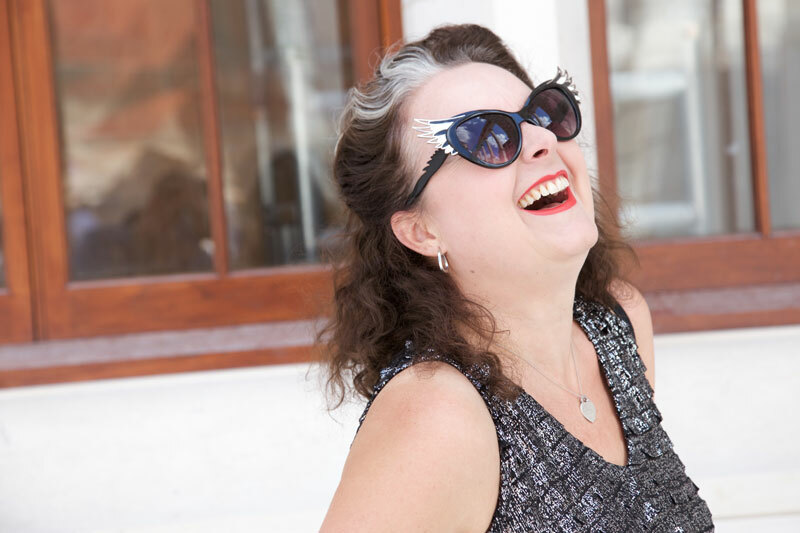 That said, I have some lovely commissions for other people that will have to take precedence over any new dresses for moi over the next coming weeks. I’m not complaining at all. They are really exciting projects so keep tuned! 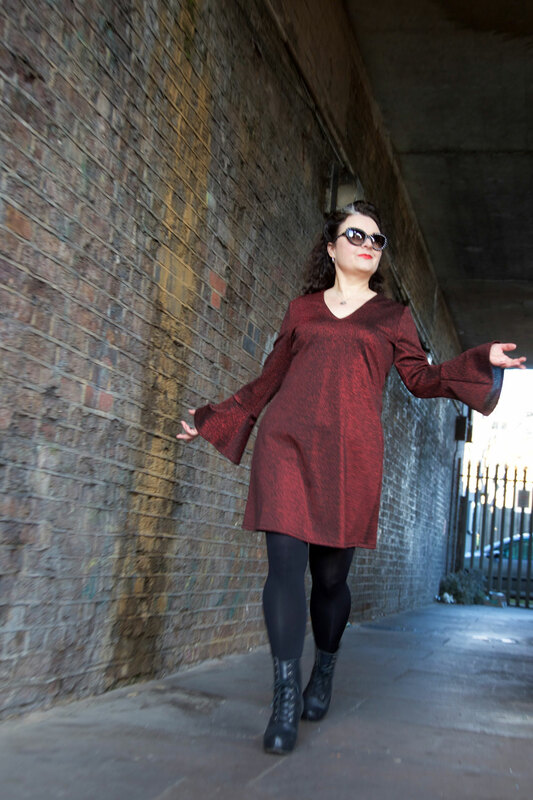 And where will I wear this dress – apart from to wander around the creative white spaces of London? I’m thinking festivals, parties, gigs and galleries. Maybe the office doesn’t get graced this time round! Grab yourself a cuppa, some delicious snacks and pull up a chair. This may take some time. 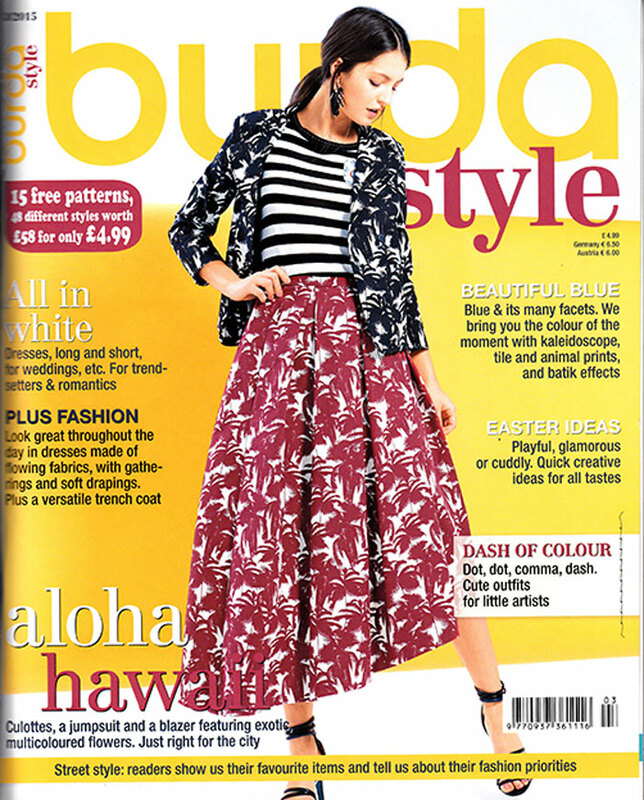 The little gasp of joy I inhaled when I picked up the latest issue of Burdastyle is about to manifest itself as an exhalation of excitable word spray! The first section is titled ‘Call of the Wild’. It’s mostly about animal print but get behind that if it scares you, to see some of the sophisticated lines that are very camouflaged by it. For instance this sheath dress (A). The print totally hides it’s streamlined seamlines but what a shape. Further on you’ll see some colour blocking to illustrate them. I love the neckline. Not too dissimilar to the BHL Flora dress which we all know and love. Skirt (B) is a classic pencil with gold buttons along the front two dart lines as far as I can make out. They are kind of hidden in that print too but it’s a nice detail all the same. 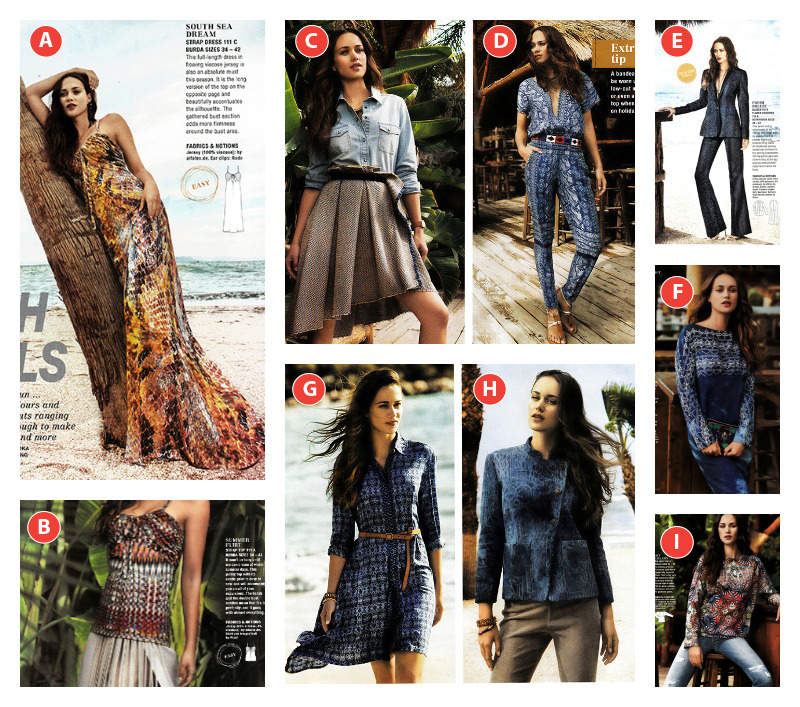 The choice of contrasting blue pleated panel with the print on dress (C) is a little mind boggling to say the least. I don’t hate it, I don’t think. Just not really sure about it. It’s an add-on rather than an inset. I much prefer the version that comes later. Animal print parka (D) I can deal with though. 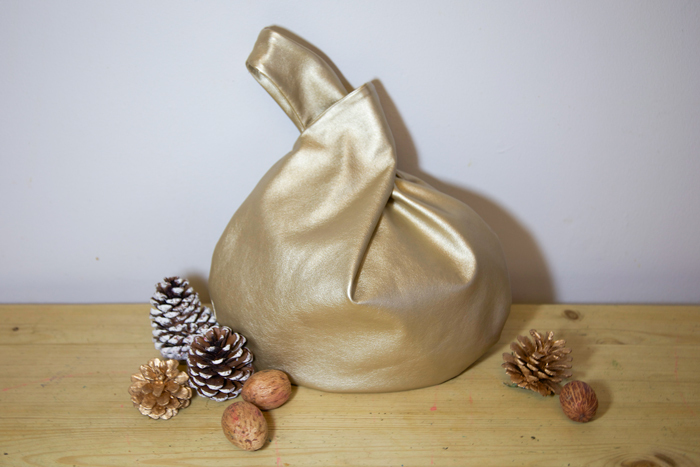 This one’s made from polyester poplin so it’s very lightweight and it’s got lots of pockets too! I’m loving the contrast of ribbing against animal print chiffon in this shirt (E). I’m loving that it’s described as easy to put together too! So here is that skirt from the cover (F), teamed with a top that also has ‘an enhanced added panel’. It makes much more sense altogether, if you like that sort of thing. Definitely better balanced. But perhaps still a little odd! Not so keen on this flared jacket (G) though. 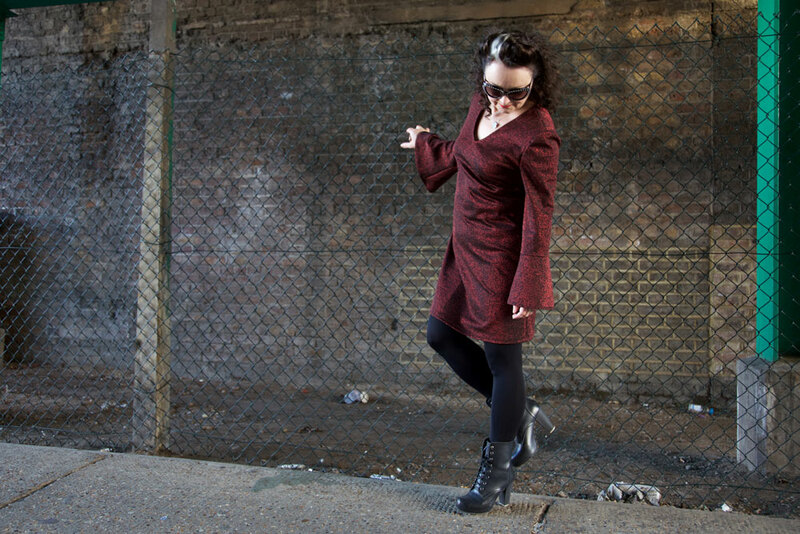 I think I’d prefer a more cropped look like the Vogue jacket I made (and have since lost… I’m so gutted!!). It kind of looks a bit maternity at this length. Next section is Western. Fringe, kilim, wool and leather. Not generally my style but there are still some lovely things going on here. I can just picture the envy of all my camping buddies if I were to turn up in that blanket coat (H) Its made of Jacquard and leather. A most special kind of parka! The dress (I) is all a bit too much for me. The kilim design and the long bodice. I’m sure if the accented rib knit sat on the actual waistline it might appeal more. In a different fabric though. This funny little garment (J) is classed as a waistcoat. It’s not for me, I’m afraid. 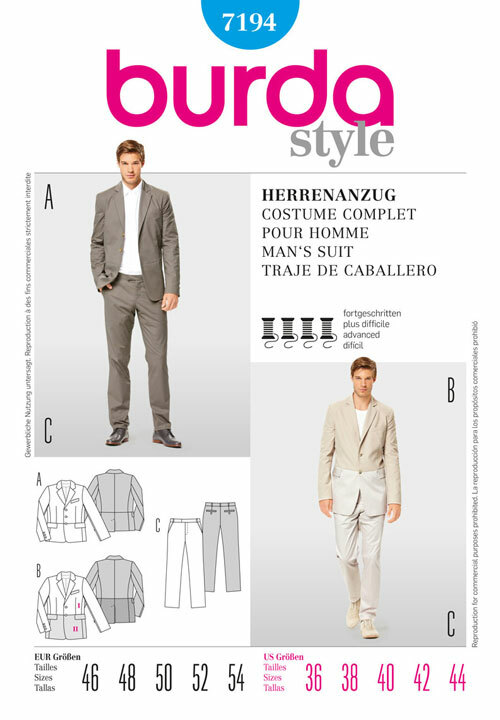 But the urban western leather suit (K) totally is! I’ve only ever done an alteration on a leather skirt, never sewn one from scratch so all the topstitching on those panels scares me but excites me in the same breath! 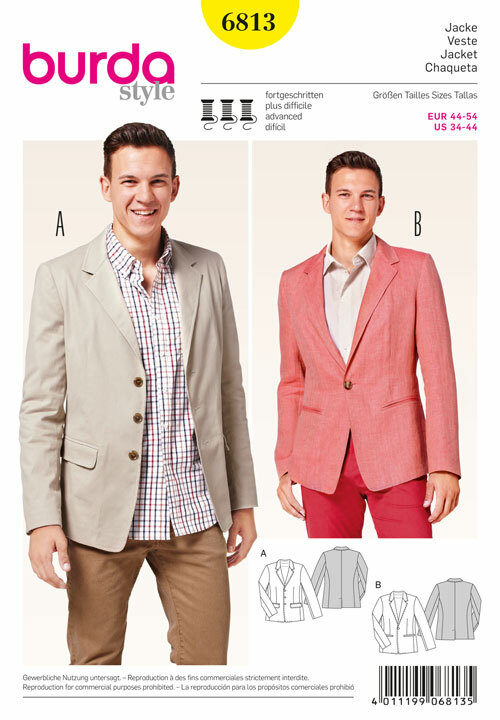 There’s a sewing class included for the jacket too. 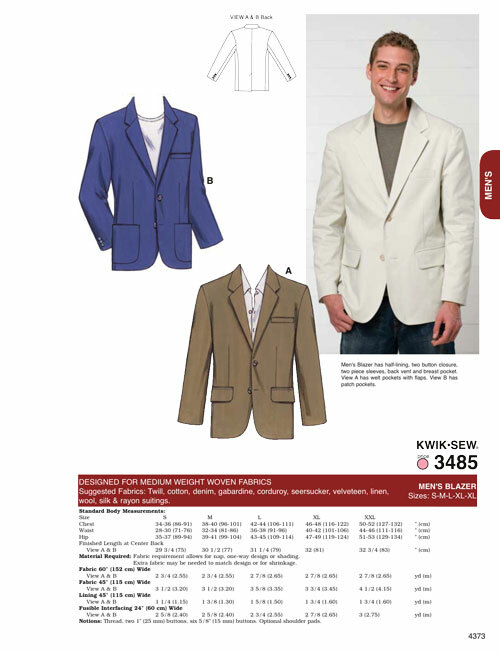 And could this tailored blazer (L) be any more stylish if it tried? I properly love this jacket!! And I don’t even mind the ruffles that poke out on the little top (M) Though I foresee a nightmare and an expensive tantrum if 100% silk chiffon were indeed to be used! 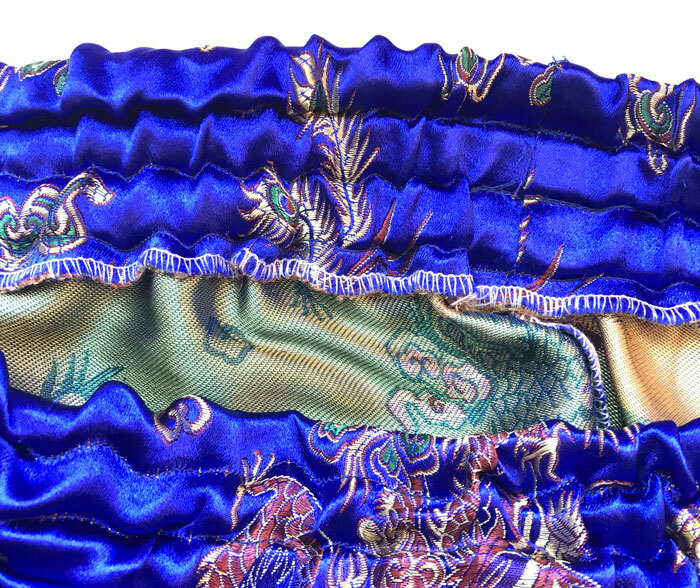 The ruffles on top (N) only decorate the front. but looking at the back view, I quite like the way that only the sleeves are ruffled. Loving the dropped hem on this midi skirt (O) and especially how the centre front seam is embraced with diagonal stripes. 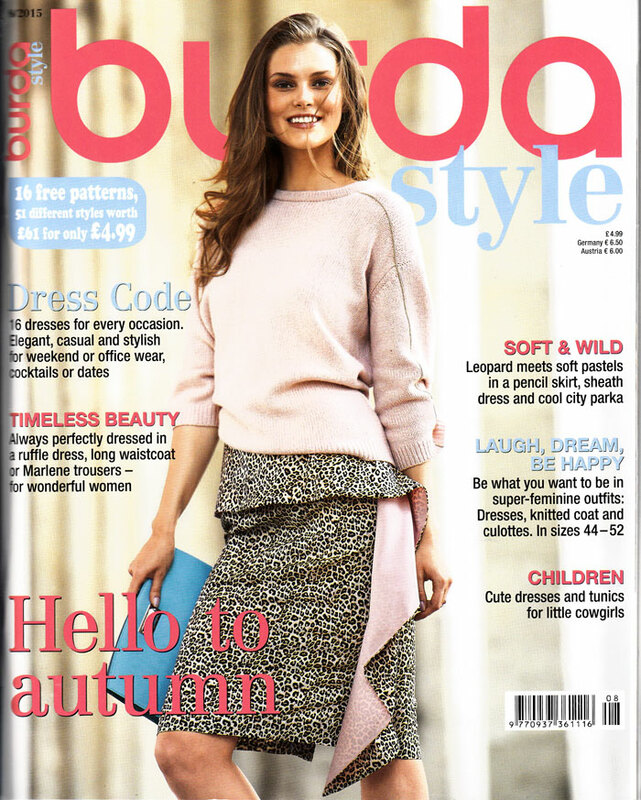 A cotton/wool mix – I bet this skirt feels amazing. Here’s that funny little waistcoat again (P). A little more classically acceptable in leather, wouldn’t you agree? But I don’t like ruffles enough to deal with a full length dress worth of them! This dress (Q) just says ‘pain in the backside from beginning to end’ or ‘patience of a saint’ however you look at it! Here’s another version of that top and skirt (R). A touch more casual but still very elegant. The sweater/slacks combo (S) is not really my thing though. 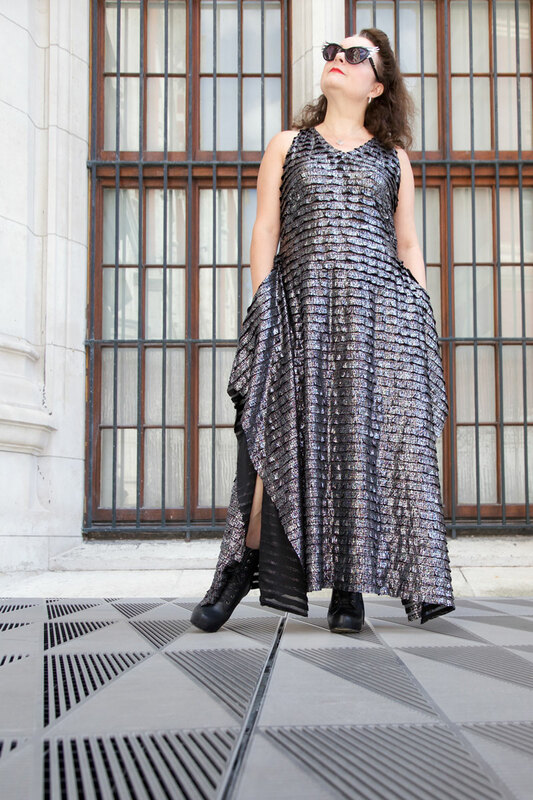 And just look how much more elegant that kilim dress gets to be in grey poly crepe (T)! Shirt with accent and skirt with buttons (U) are a good office combo and I even like the variation on that blazer in velvet with details (V). Or do I?! Maybe it is a bit odd. 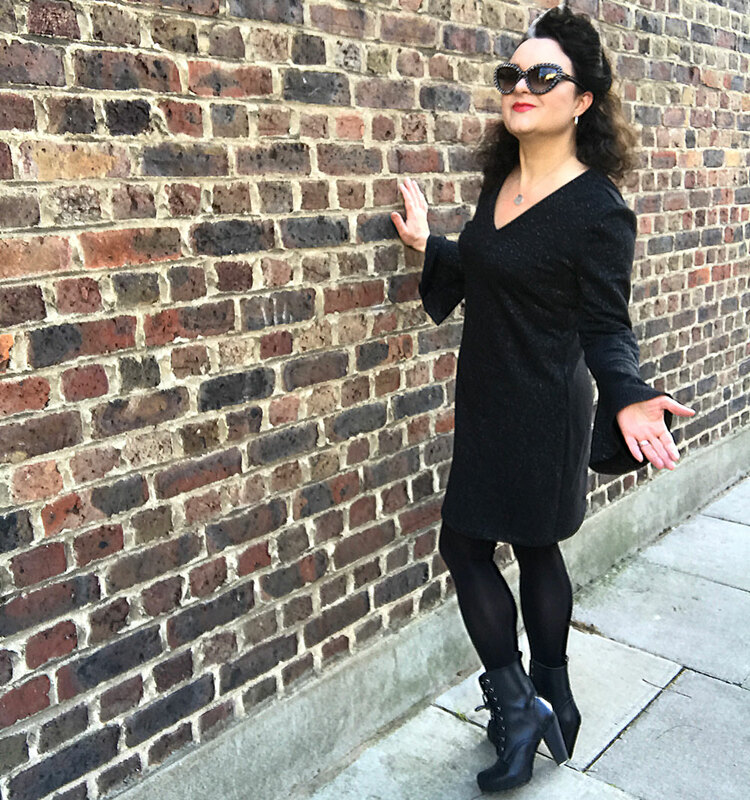 But the classic sheath dress (W) is not only good as a classic staple, it’s designed for tall sizes too. 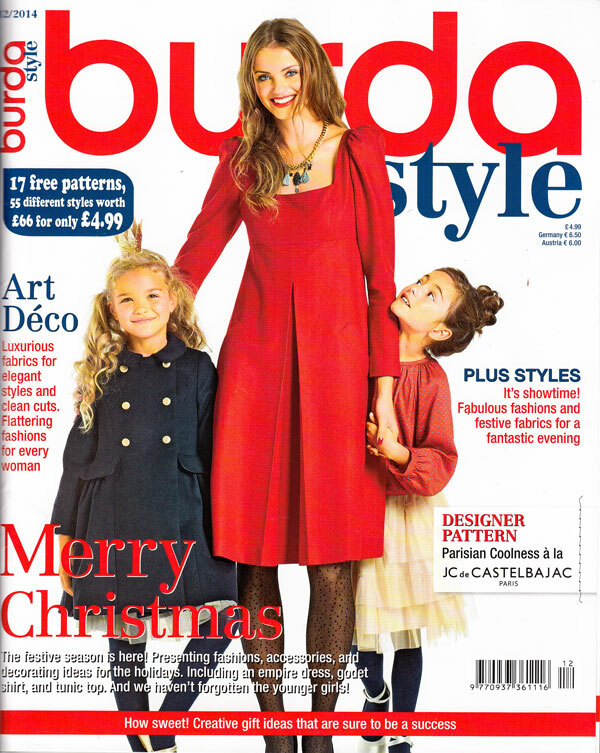 This issue is definitely teaching me that there is sophistication to be found in plain colour dresses. Step away from the print! 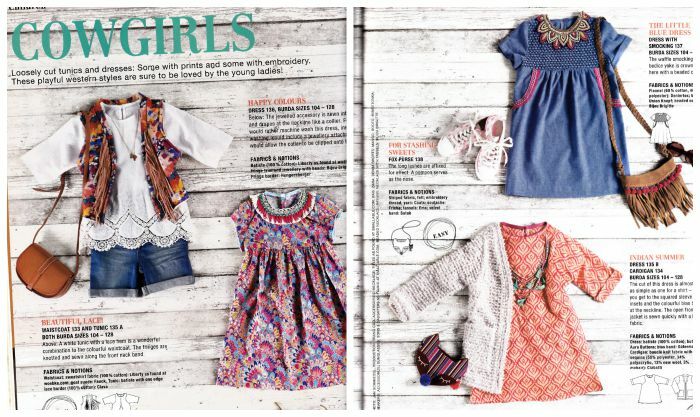 There’s some cute little Cowgirl tunics and dresses in this issue. Some lovely details going on and I adore the fox purse. Surely that’s not for children alone?! The next section is called The Art of Colour. 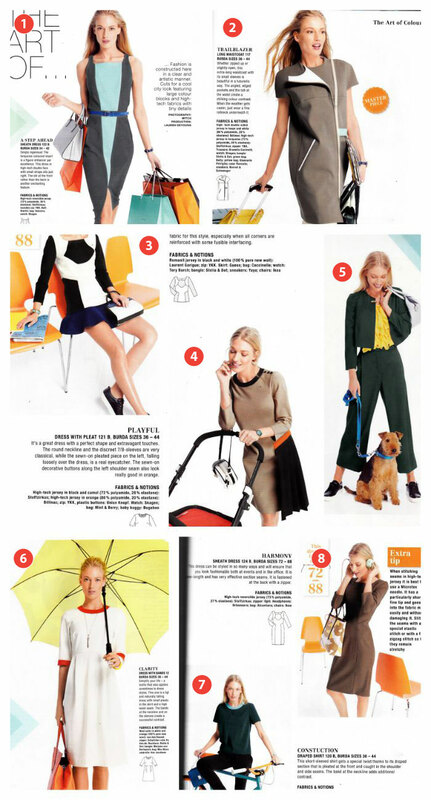 Lots of colour blocking with high tech fabrics. For instance you can now see some of those seamlines in that first sheath dress that were previously hidden by animal print, in this colour blocked version (1). It’s made from a high-tech reversable jersey, though you’d have to have darned neat seamwork to reverse this I would have thought! I find the blocking of this top (3) is quite jarring and unnecessary. It’s like one of those optical illusion vase pictures where you’re not sure whether to look at the black or the white bits. But, strange as it still is, because of the different colours employed, I’m quite diggin’ the weird pleated panel on this dress (4) now. 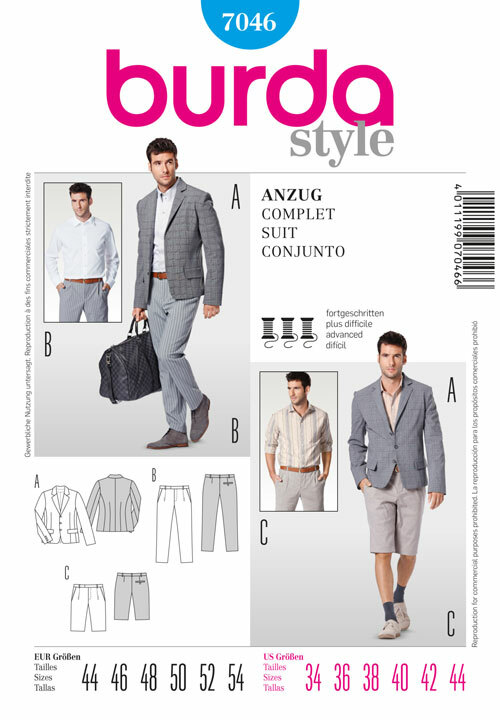 Whilst dress with no pleats is refreshingly, classically simple (5). The giant pleat of fabric in the teal top (7) quite appeals now. Just with that contrasting neckline. Turns a very ordinary T shirt into something far more interesting. 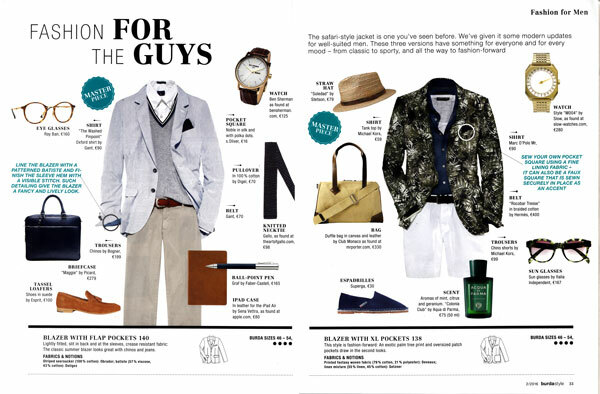 There’s a lovely choice in the Plus Fashion section this month. 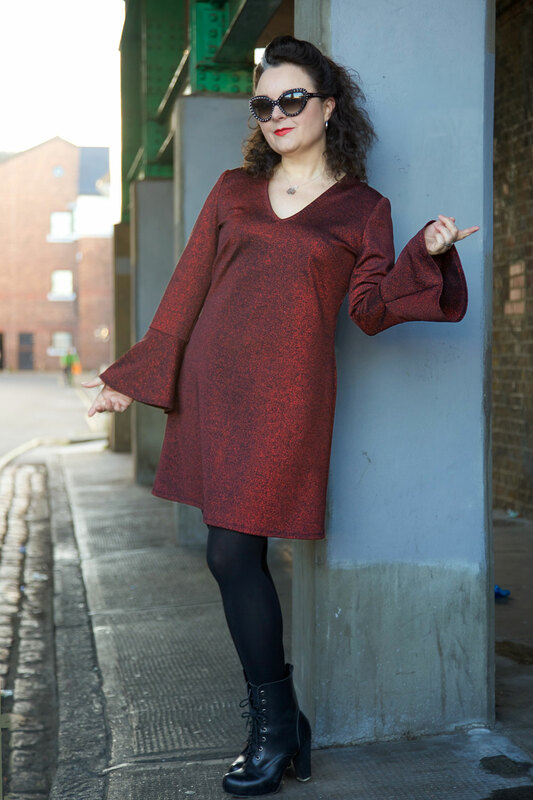 Who doesn’t love a shirt-waist dress (9) ? 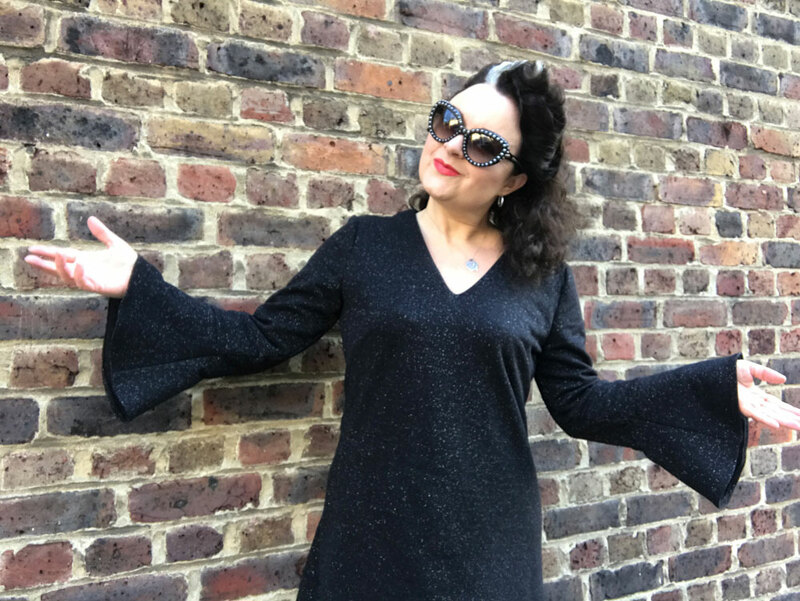 I’m currently working on a second version of the 60s shirt dress I made but I’ve already got sleeve and pocket envy, looking at this one. 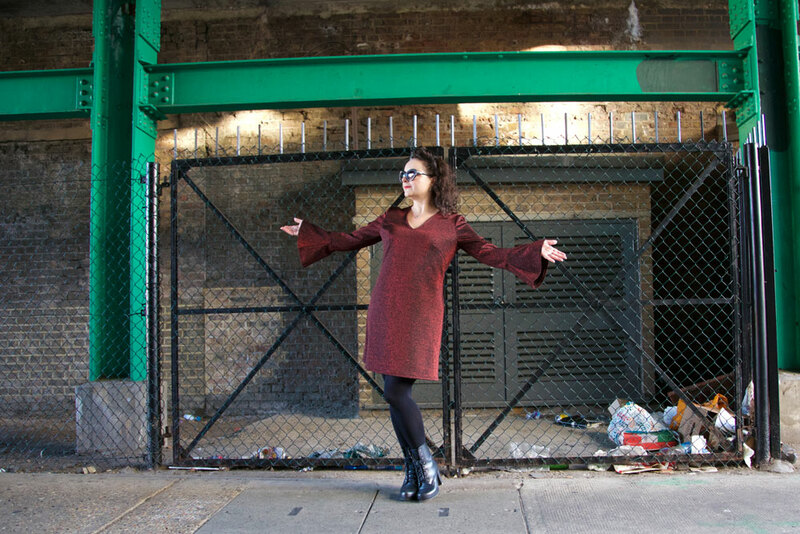 The pretty cape collar dress (10) is so pretty but this fabulous bohemian knitted coat (11) is a total winner. Just imagine how cosy that would be in Astrakhan (71% new wool, 19% mohair). I love the lace cuffs on that blouse too (13). Guipure lace in case you can’t see. 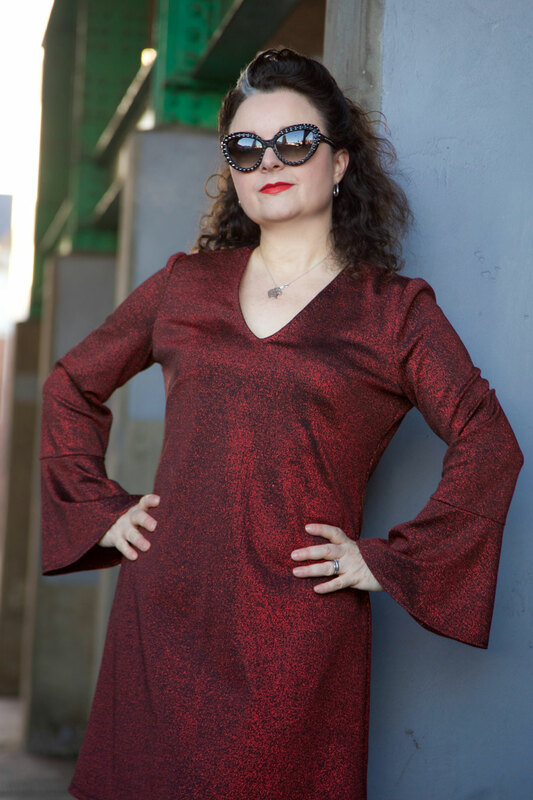 Totally poshes up a peasant blouse! 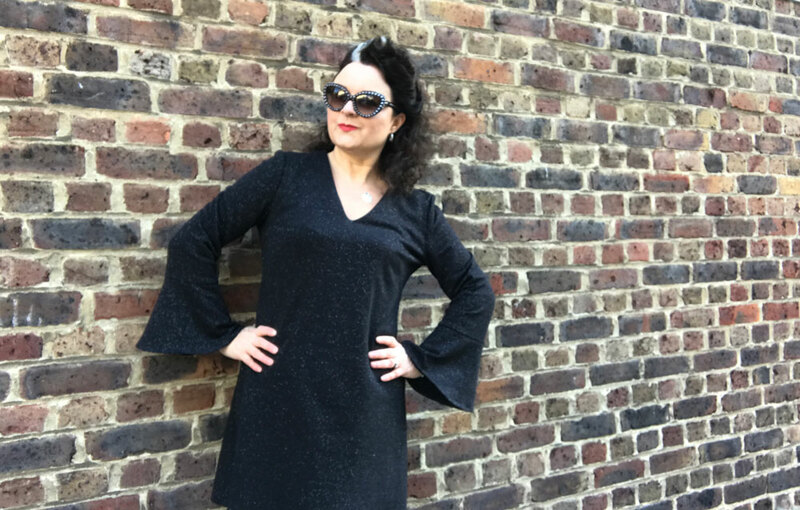 That neckline is repeated on the tunic dress (15) and the short sleeved version (16) too which incidentally works beautifully with leather strides. I think I want some. And that just about wraps it up as far as this months gorgeous garments are concerned. Did you get your issue yet? Any thoughts? Any faves? Can you feel that spring sunshine, desperately trying to squeeze though your bedroom window in the morning? 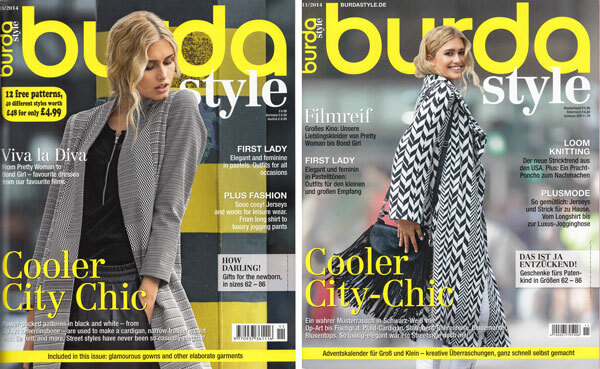 Well if that isn’t happening, the March 2015 issue of Burda Style magazine will do it’s best to brighten your days. 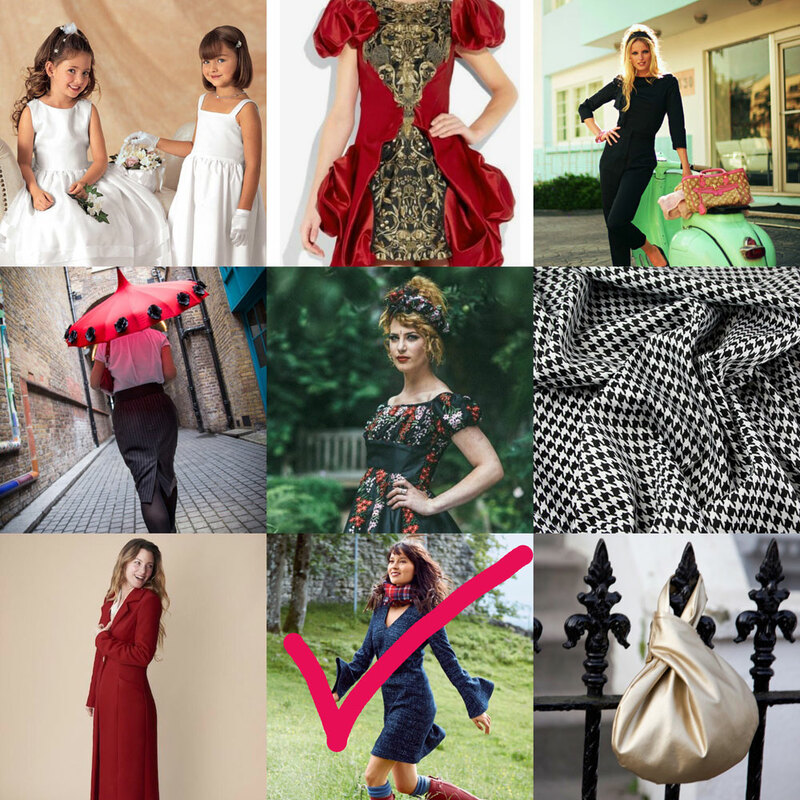 There’s some lively goings-on this month, with all sorts of asymmetric, geometrical, hankerchief-hemmed and draped goodness! 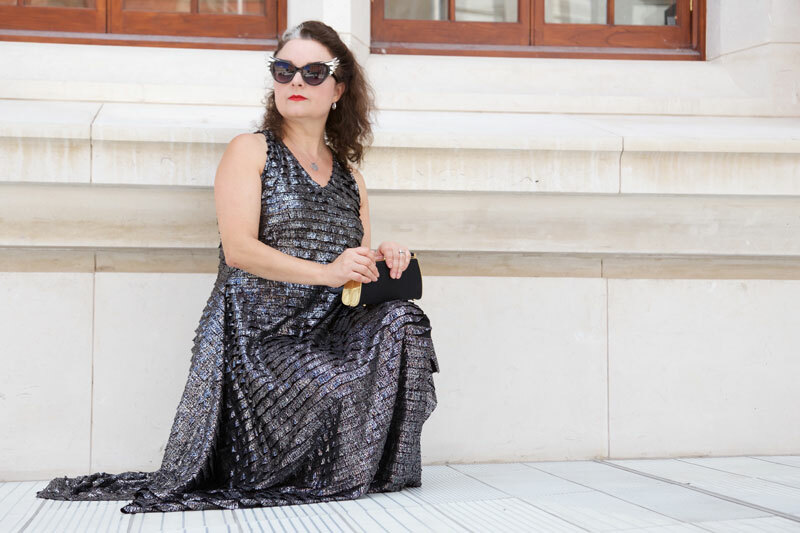 Beach Pearls sets some scenes for a summer wardrobe: I just love that maxi dress (A). 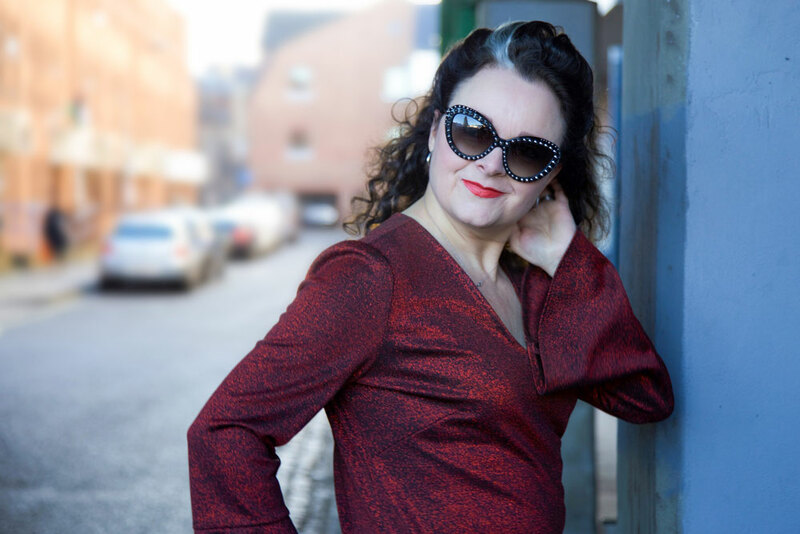 It’s not dissimilar to the viscose jersey one I made here, but the bust detail is right on the money! A lot more support I would think and what a flattering silhouette!. It also translates into a lovely strappy top (B). Now I like where the asymmetrical skirt (C) is coming from but not quite where it landed up! Way too much like a sack tied round the middle for me. Further on it is redeemed with some better styling, I can assure you. Nice Jumpsuit (C), btw. If jumpsuits are your thing. You might want to add some ‘fashion tape’ to the list of required notions, though. Click here: Hollywood Fashion Tape if you’re interested in buying any from Amazon! 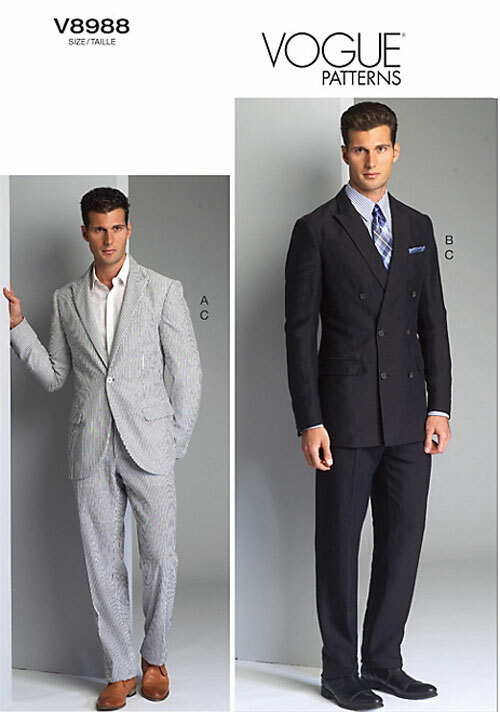 Flared trouser suits (E)? mmm…and bat wing empire-lines (F)? double mmm… Lets move on to the shirtwaist dress with ‘maxitail in the right seam’ (G). I do like that. And I love the biker-meets-Mao jacket too (H)! Uh oh. There’s that batwing-empire-line again (I). Swiftly moving on to the Flowers and Stripes section! I’ve never made or owned a pair of culottes (A). But I bet they’re a far safer than a full skirt on a windy day. And looks lovely in a largish print. If you like that sort of thing. 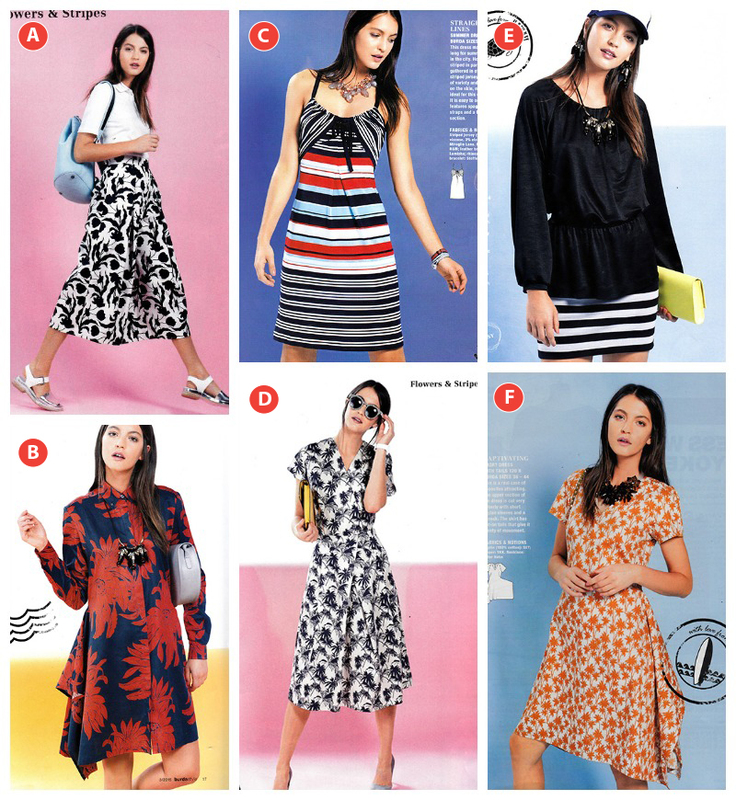 And there’s that shirt-waist dress (B) again with ‘cut-on-dipped hem’ like last time! It would be better to use a fabric that has a reverse as good as the good side, I would have thought. Look how that lovely maxi translates to a cute beach dress too (C). 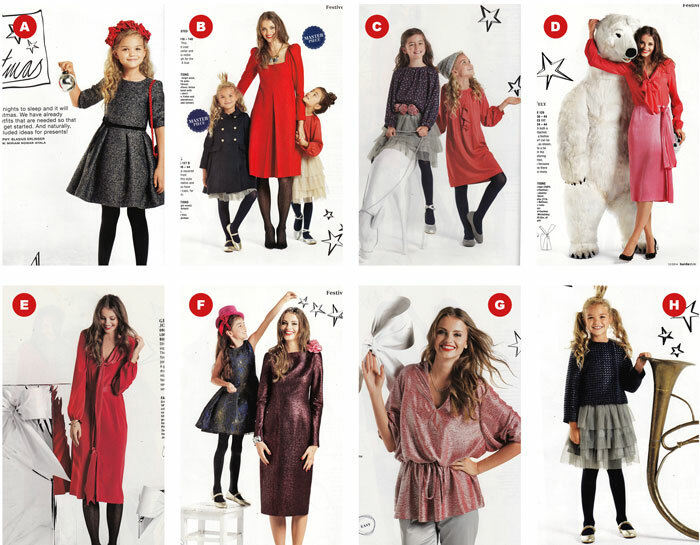 This month features a chic wrap dress (D). There is some assurance of a button at the side and concealed snap fasteners to keep the wrap in place. Potential for a Bucks Fizz moment there! The peasant top addict in me (see two of them here and here) is quite drawn to this ‘relaxed tunic’ (E)! Would need a fine drapey jersey to pull off with any sophistication I would have thought. And there’s some more geometric delight in the shape of a simple v-neck dress with symmetrical ‘cut-on tails’ (F)! Any weddings occurring this year? Loving both these bridal party dresses (A) in The Big Day section. The bride’s dress (B) is the same as (A) with a flowy underskirt of crêpe chiffon. That’s if you haven’t been put off by the chiffon adventures in The Great British Sewing Bee recent episode. Can’t help thinking this dress (C) is a bit cake-like with all the tiers an’ all. And although I usually embrace a bit of invention, I still wouldn’t want to look like I’d been dragged behind the wedding car, en-route in this dress (D)! This fairytale dress (E) is far simpler and much more sophisticated though. Just get rid of the batwing-empire-maid who’s ruining the photo! Oh this is much better (F). Lovely wide-dipped hem again. Bust darts for shape. Cotton lace overlay, crepe satin underlay. I’d wear it with cowboy boots. Or even DM’s. Or is that just the hippy in me?! Now there’s that asymmetric skirt again (centre, G), styled much more favourably with a gorgeous jacket: standing collar and 50s style winged lapels. See, it does have potential to work. Nice suit on the right too! Jumpsuit (A) made short for all you lovely long-legged people! Lovely floor-length dress (B) in striped jersey with side slits and a ‘hankerchief hem’. I can definitely feel some more maxi’s coming on this year. And a cute little dress (C) based on the short lace wedding party dress design. Not my cuppa tea fabric-wise, but I’m always sold on a midriff piece! 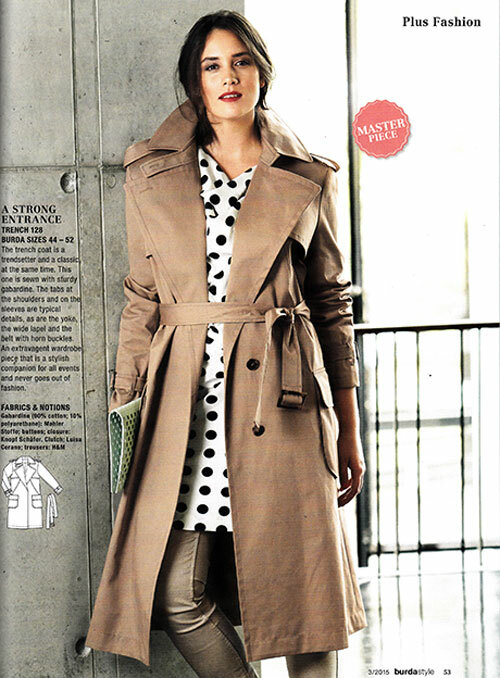 Not overly inspired by the plus section this month I’m afraid, though the trench coat is rather amazing, I must say. But, there is cuteness for small people at the back. 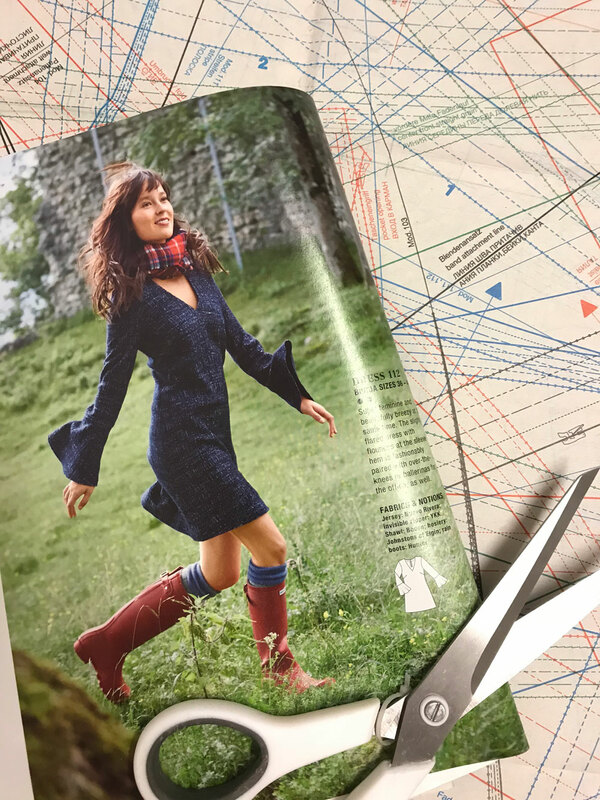 The best design and the garment most fitting to the Colour Splash section by far, is the paint-spattered dress (A) with tying bands that resemble the sleeves of another garment. Hands up who wants an adult version? Genius! Over the last few months I’ve been having a spot of bother getting a copy of my favourite mag from my local WHSmiths. Well from any Smiths actually. They are getting slack in their orders of big quantities or sometimes any orders at all! But last month and this month, I decided to order it from an online newsagent and I think this is the way forward for me. It costs an extra £1.60 for post but I get notification of it’s arrival date and it is delivered within 2 days. I love the sound of the thud of the post landing on the mat and I certainly don’t miss the queues to the awful automated cash desks at Smiths!! So here we are. Although not overly festive. But that’s ok. The opening section, although very monochrome displays some lovely structure with a touch of shimmer. A: Described as a long blazer but I think more a classy occasional coat. I love the asymmetry and I’ve seen some gorgeous silk-like viscose fabric that would work amazingly well. Could really do with one of these. I don’t have any party outer-layers! 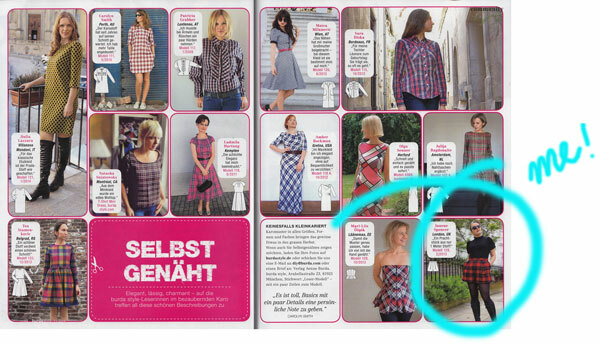 Burda suggests it could be a mini dress too. B: I didn’t join the ‘peplum gang’ when they first got fashionable. But I might be persuaded by this one. I really line the clean lines of this top. It’s got a midriff that has sold me and I like the slit at the neckline. C: A classic sparkly sequin jacket. But not for me I’m afraid. Too shapeless. Too scratchy. And I can just imagine all the cat fluff that would get stuck around the sequins! D: Quite like this dress. Very classic and very flattering. It’s actually an extension of top B. But I would question that choice of fabric. Impossible to pattern match and so the optical illusion draws attention to a pokey out belly even when the model doubtfully has one! E: Probably not that clear from this little pic but this is a sparkly turtle neck top with blouson sleeves and a lovely wide cuff. Love the silhouette and for me it’s a perfect work to night out top. There’s a tute to help the process. This one’s on the list! F: There’s that peplum again! I’m not that enamoured with it but I like the idea of mashing some interesting fabrics together: Pinstripe suiting, lace and embroidered something! G: This is a great skirt. The fabric choice is stunning. Graphic and structured. You can’t really see the detail but involves a hip yoke and a deep pleat at the centre front. H: This outfit isn’t my thing. I don’t like the silhouette. I don’t do culottes or drawstring waists. Not on the list! I: This lacy top looks so pretty in the picture. You’d never be sold by the line drawing. It looks really wide and strange but the draping effect is a winner. The next section gets some red in with some festive flair! There’s some cute little girls garments here but only up to age 10. LMO is 10 but wearing age 14 clothes so as much as I’d like to make her coat B, I’ll have to sort my grading skills out or just admire them on the page. A: Lovely simple dress with a structured skirt and a petticoat underneath. None too girly but still with a pretty fitted silhouette. B: Double breasted child’s coat with cute peter pan collar. Sewn up in top notch wool it is truly a classic forever coat. Well at least the child grows out of it! I think I like the grown up dress too. Love the simplicity, the red, the deep pleat and the neckline. But the sleeves are worrying me. They look kind of too big at the top. C: A raglan blouse (or peasant top in my book!) and an extended version as a dress. Like both. And they would be very simple to make for presents. Don’t have to be too precise with the sizing either. D: Scarf blouse and skirt with ties says it all. Too much flounce for me. They are both made in crepe too. Maybe that’s what is putting me off asides from the dipped pink and coral combo all clingy like that. Proper girly Christmas wrapping! E: But just in case that scarf business appeals, here’s another variation on a dress with longer ties to tie in two places. Genius. But not on the list! F: I think this is the same little girls dress as A but without sleeves. I don’t mind mums semi fitted brocade number but it does look a tad mumsy at that length to be honest. G: They lost me at ‘loose cut’! 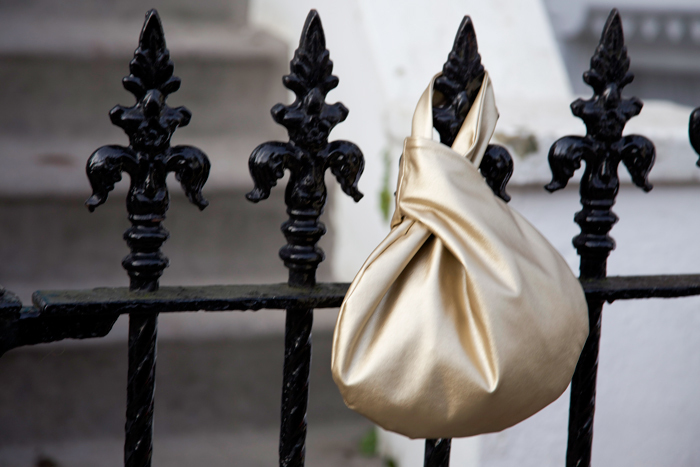 And drawstring! H: Boxy jackets always look good on children! The simplicity of the style can make way for some statement fabric. A departure from girly to freestyle. Some very interesting fabric combos. And I like that. A: Hopefully you can just about make out the giant underbust fringe! 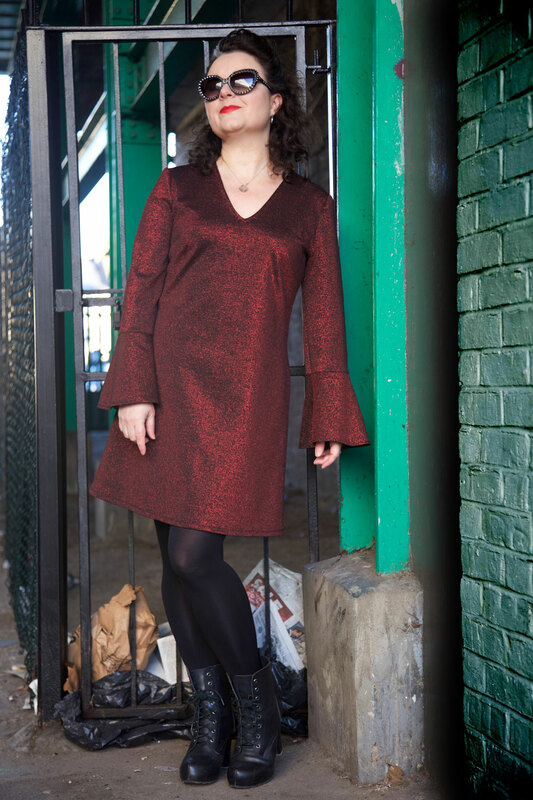 It’s a maxi top sewn in a crushed jersey knit with an asymmetrical draped collar. I don’t wear strides but if ever I did I may have to pair up with one of these. Just because! B: This is indeed a master piece! Military made beautiful. 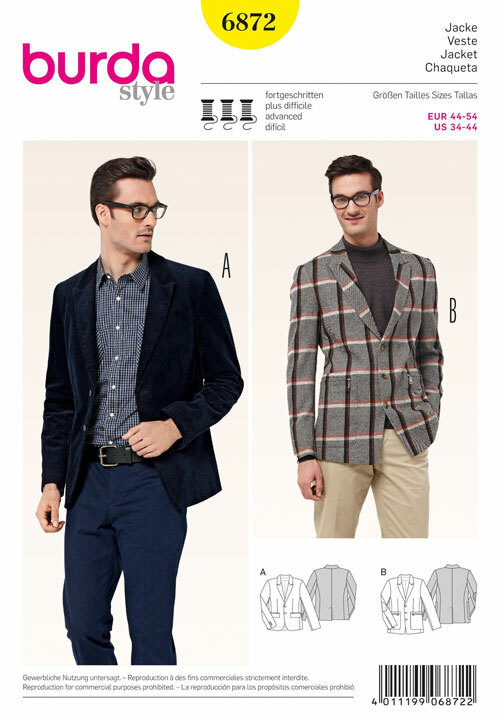 Slightly fitted wool coat with trumpet sleeves, asymmetric collar and buttoning. And that gorgeous design you can see up one side is appliquéd lace no less. I’m still revelling in my coat from February but I can totes see myself in this. Maybe next year! C: Described as a bell skirt. Nothing much to see here but some lovely overlaid fabric and trim has planted some seeds for sure. D: Gotta love a cape. Proper sturdy one too. I do want a cape but not this one with its belts and panels and epaulettes. It looks a bit overly involved for me. Don’t dislike it though. E: There’s that top again. Same as E in the first section but in a totally different fabric. Making it more jumper than blouse for a more casual approach. 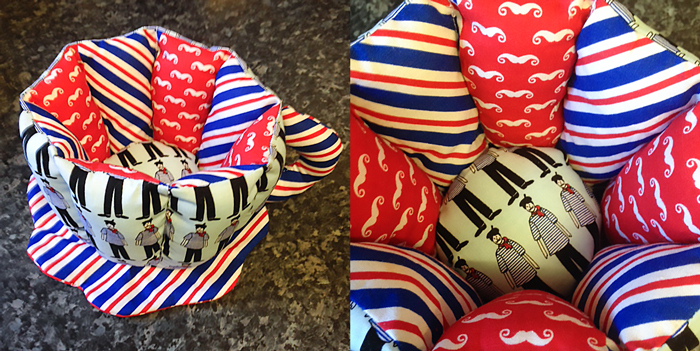 You wont be able to see from the little pic but the seams are ‘outwardly open’! Why? Imagine how irritating when everyone and their aunt asks if your top is inside out! F: In interesting patched shirt using patched stretch jersey, stretch faux leather and wool. You could use any kind of combo but I’m finding this all a bit too much. I do very much like the leathery sleeves though. The skirt looks more interesting than the pencil skirt it is but even though it is relatively straight I think that top needs to be worn with a much less interfering bottom half! G: Pretty sure this is repeated from the festive section but I love how much more retro it appears with a shorter hemline. H: Tube dress with rolled collar in a stretch knit lace. Great on the right bod. But not on mine! I: I like this dress. Lovely defined bodice and flouncy skirt in an overlaid lace tulle. Sold on the colour too. Eliminates girly girly and makes it more day time. I can’t decide whether I like the sporty grosgrain straps or not. Actually I do! J: I’ve been thinking of a poncho. Not like the one my mum made me wear in the 70s but something understated like this one. In truth I’m being lazy so as not to have to get involved in a cape! Its just a rectangle with minimal sewing, yay! 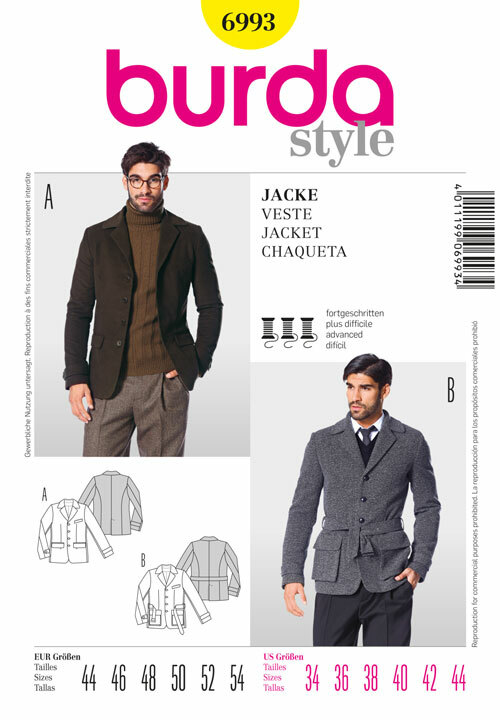 Burda’s designer pattern this month comes with a nod to Jean-Charles de Castelbajac. I love these little insights into the lives of designers. JC professes to be inspired by love andcuriosity. I like that! Just as much as I like this straight cut mini-dress with its massive pocket details and topstitched standing collar. I’ve made pj bottoms for 3 other members of my family but never for myself. It’s just occurred to me that I’ve got the most raggedy selection of nightwear and that things must change. 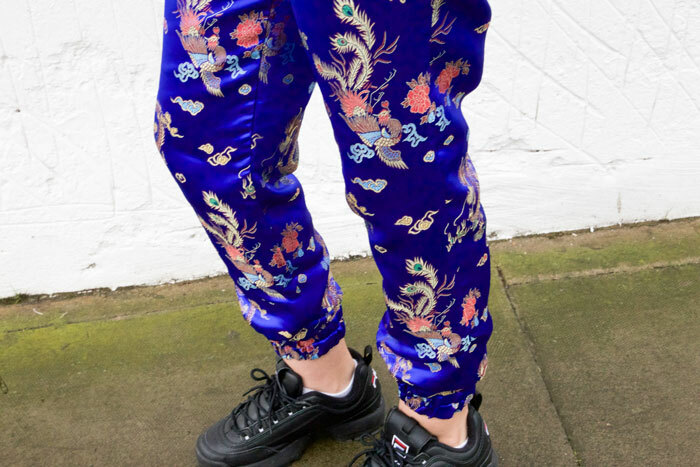 Here’s some pretty things and one seriously crazy pair of pj bottoms! A: Cutesy bustier and French knicker set. Piping, ruffles the lot! B: Isn’t the idea of a boyfriend shirt that you just nick one off your boyfriend? I’m not sure I can afford to invest that much time into making a proper nightshirt. Piped collar, inverted back pleat, button placket, breast pocket with embroidered monogram and inseam pockets too! C: Lovely little ballerina slippers. Could be a lovely little Christmas present perhaps. D&E: A traditional set of pjs. What’s not to like? Love the cool crisp blue. F: This is a knitted coat and I want it! I don’t want to knit it though. I’d be bored of it before I finished it, I’m that slow. But I’m sure someone out there would love to whip this up. 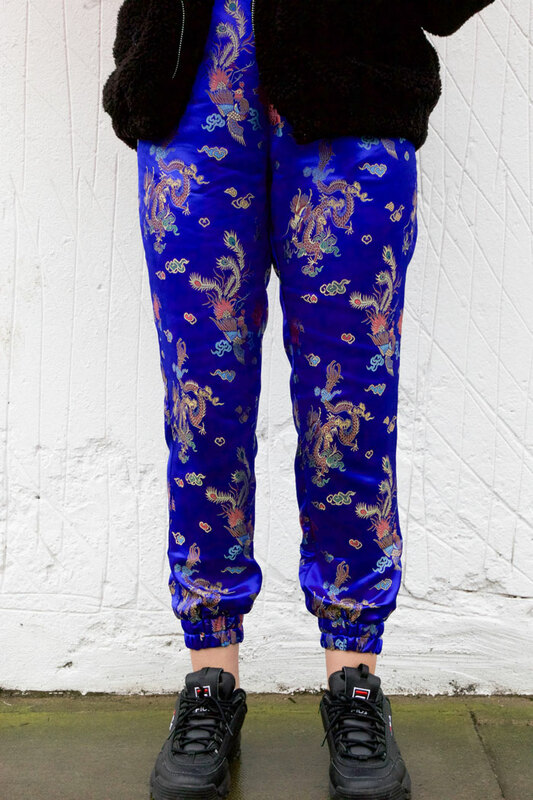 G: And theres those crazy palazzo trouser pjs! Can’t do those. I’d get myself in a pickle for sure. H: Camisole and French knickers. Now you’re talking. Maybe this is my Christmas present to me! I: This nightdress is pretty too. Ruffles top and bottom are a bit cake-like for me but I like the elasticated empire line. 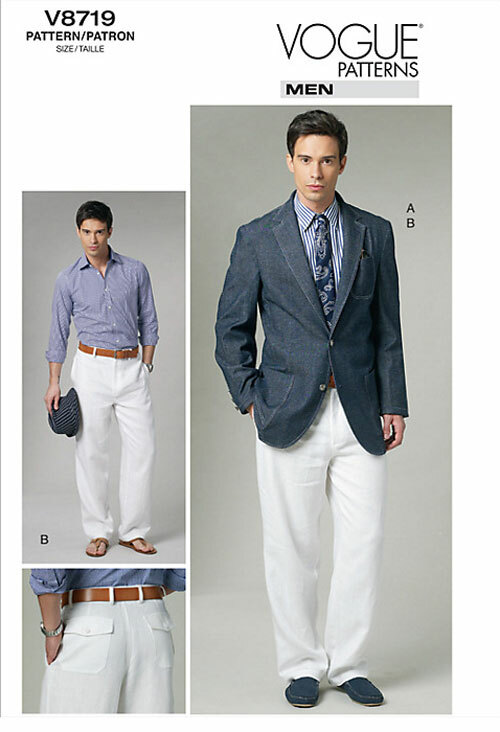 As is traditional, it’s the plus fashions that bring the party to the fore. A: Long jacket and pencil skirt. A classy pairing. The jacket comes with an optional belt but I’d leave that out unless you want the dressing gown look! B: Low cut V-neck tunic top. I love the contrasting black band around the neckline. Very feminine and perfect with pencils and skinnies. C: Bit odd this ‘volant’ tunic. Burda’s word not mine! Longer at the back than the front with ruffly bits. Not really my cup of tea. D: Described as a peplum dress but someone more sophisticated than that I feel by the way that the centre point extends. Very jewel-like indeed. I’m not keen on the colours but greens and blues would do it for me. Or blacks and reds! A lot of precision sewing though. Only for the more patient among us! E: Ah! There’s that long jacket with the belt. See. F: Can’t make my mind up about this skirt. Its fundamentally a pencil with satin bands that run down the back. Apparently they make the bottom look slimmer. Are big butts out now then? G: In the right drapey material this tunic dress would be gorgeous. I’d prefer not to look like a galaxy but I do like the contrast of the black bands and a busy print. H: This colour-blocked peplum blouse is a no from me. Too much like hard work. Too much going on in such a small space. But I bet somewhere out there, there is a quilter who is itching to get going on it!! Well that just about wraps things up. I hope you enjoyed the sneak peek. I failed in every way to make this a shorter exercise but no regrets. I thoroughly enjoyed spending the time to look closer at each garment. And of course it always makes for a great record to come back to.